In honor of Valentine’s Day, we’re featuring a few gift ideas that we have a crush on! Will you be our Valentine? We have lots of great gift ideas in store right now. Treat someone special to something unique that you found at Broadway. These fashionable bracelets have sparkle and sass. 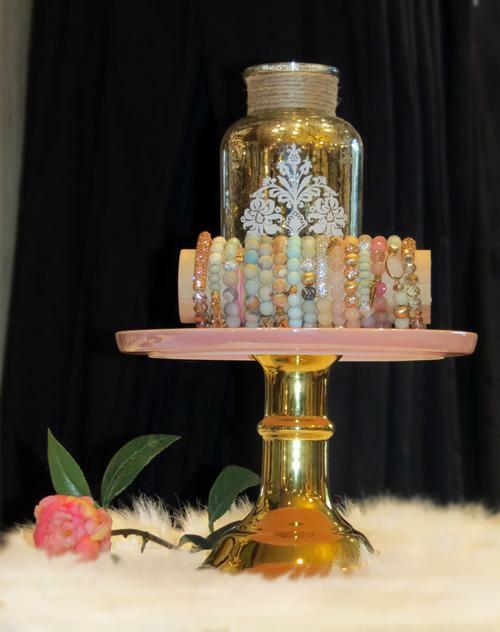 Choose from a variety of pretty colors and designs. Who says Valentine’s day gifts have to be pink or red? 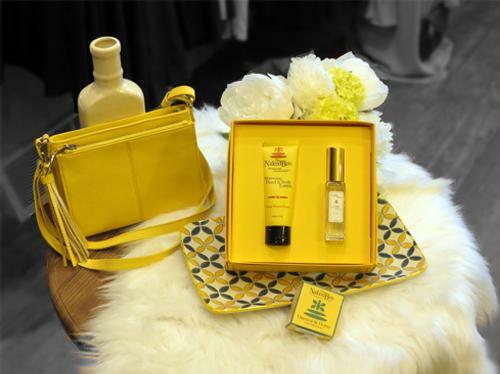 Look at this sunshiny handbag and gift sets of high quality, natural beauty products from the Naked Bee. Here’s a breath of fresh air! 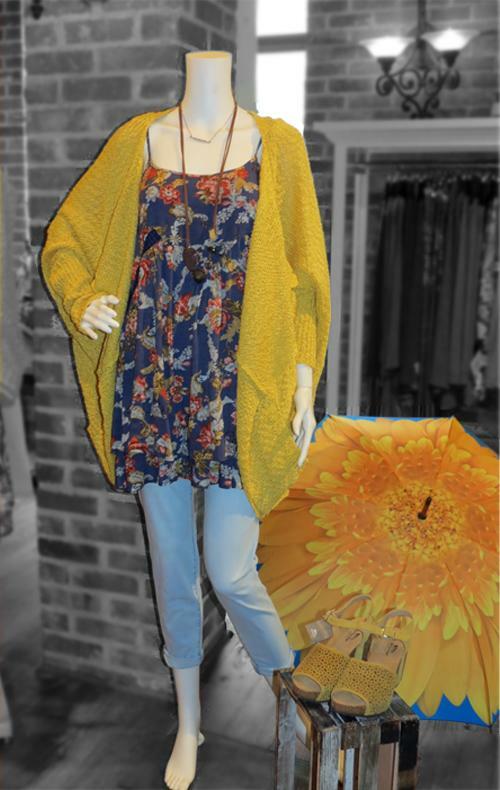 A crocheted mustard sway cardigan over a blue floral print top and light denim jeans. And this umbrella? It’s a serious mood booster for gloomy weather! 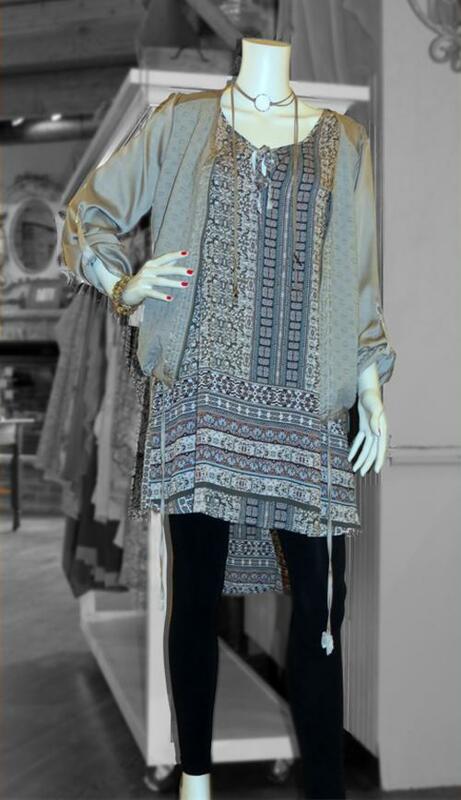 Silver, navy, and blush make a stunning statement in the form of this bohemian-inspired top! Say “I love you” with Brighton! 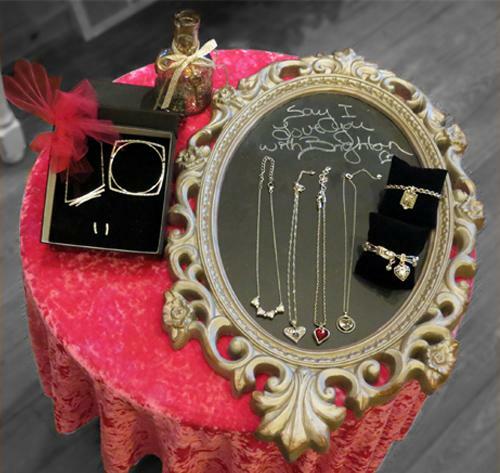 We have several charming heart necklaces, bracelets, and boxed gift sets. We’re in love with these girly graphic tees. 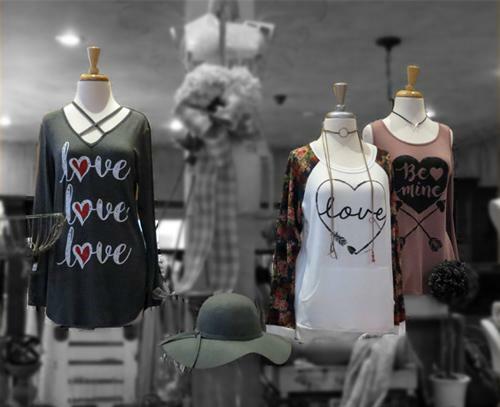 They’d make an adorable statement for Valentine’s Day! What would Heart Day be without chocolate and a glass of vino? 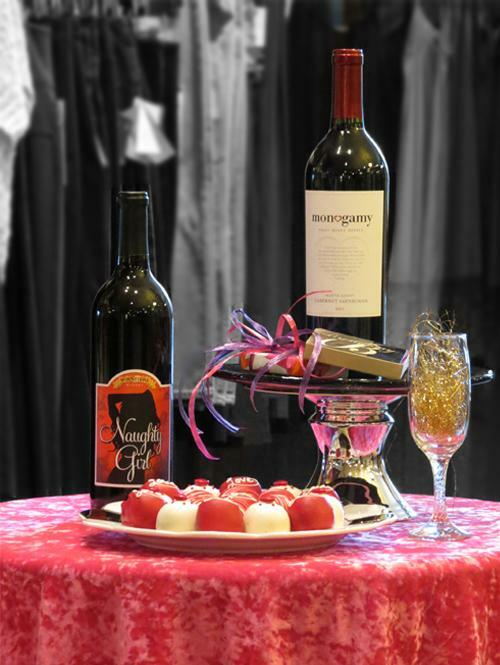 Don’t forget that we have a large selection of wine and mouthwatering truffles. A Broadway gift card is always a great gift idea too. 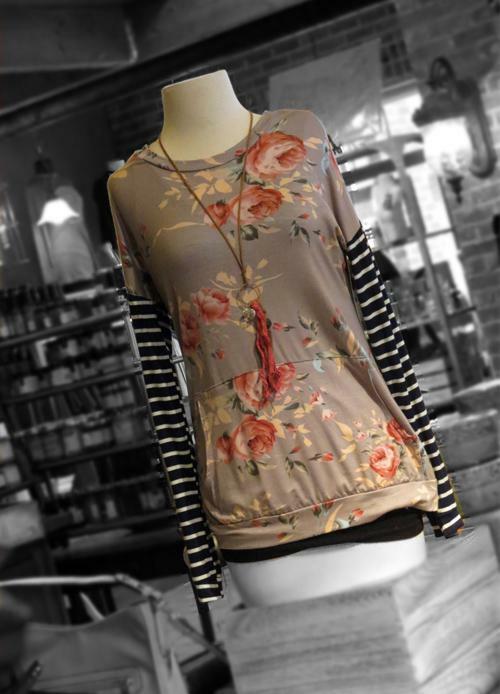 This floral tee with contrasting striped sleeves is comfortable and feminine. Check out the kangaroo pocket on front. This Brighton tote is one of our favorites. 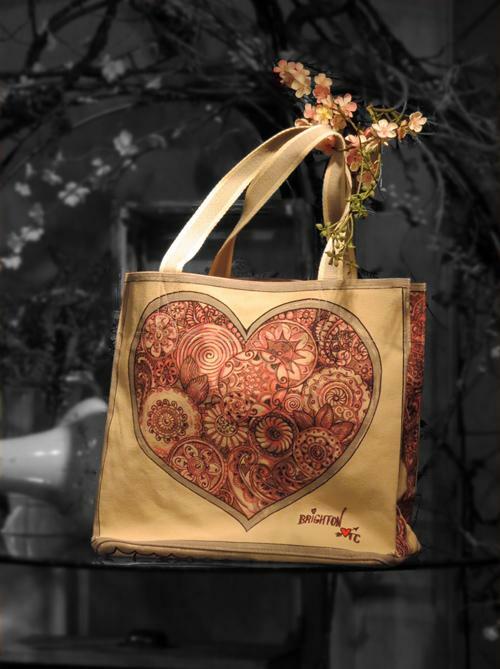 Intricate patterns form a delightful heart design.